Let's get healthy in 2014! The Basic Green Package is a general maintenance program for your lawn. This package insures the basic health of your lawn, and provides weed control. We do this through well-timed treatments and herbicide applications throughout the seasons. 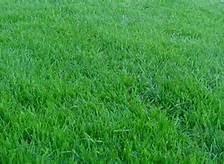 If you are interested in getting a FREE LAWN DIAGNOSIS to see if the Basic Green is the best package for you, please inquire here.